This vast map covers just about all possible tribes that were documented in the first centuries BC and AD, mostly by the Romans and Greeks. The focus is especially on 52 BC, although not exclusively. Some migration was involved during this time, and some tribal divisions too, so there may be a few instances in which names are repeated. 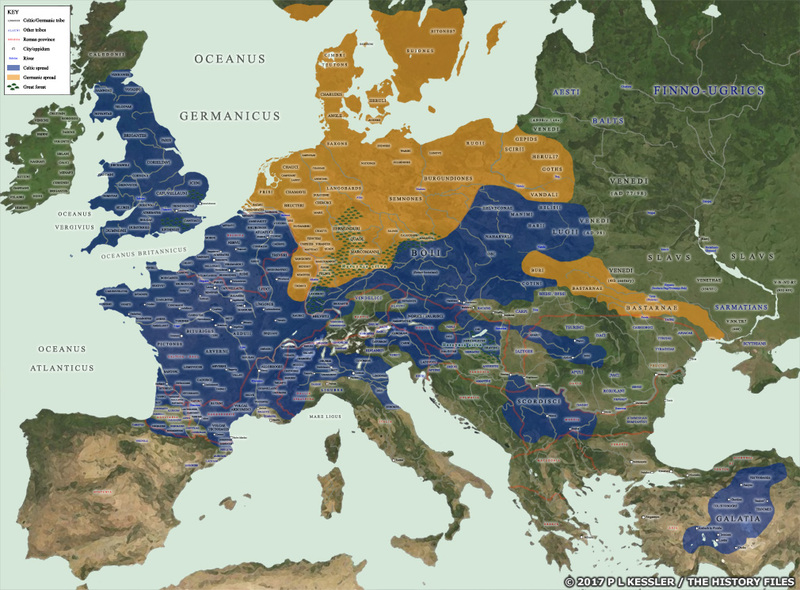 Other tribes or tribal groupings such as the Venedi covered a vast range of territory while the tribes of Western Gaul had divided and sub-divided to create a patchwork of names. Original text and maps copyright © Edward Dawson, P L Kessler, and the History Files. An original feature for the History Files. Go back or return home.